This is one of the finest examples of civil architecture in Nîmes during the reign of Louis XIV. It was rebuilt from 1676 to 1678 by the architects Pierre Cournon and Jacques Cubizol at the instigation of Jean Martin, a silk merchant. At the end of the eighteenth century, two bays were added at the eastern end ; these are identical to those built in the second half of the seventeenth century. 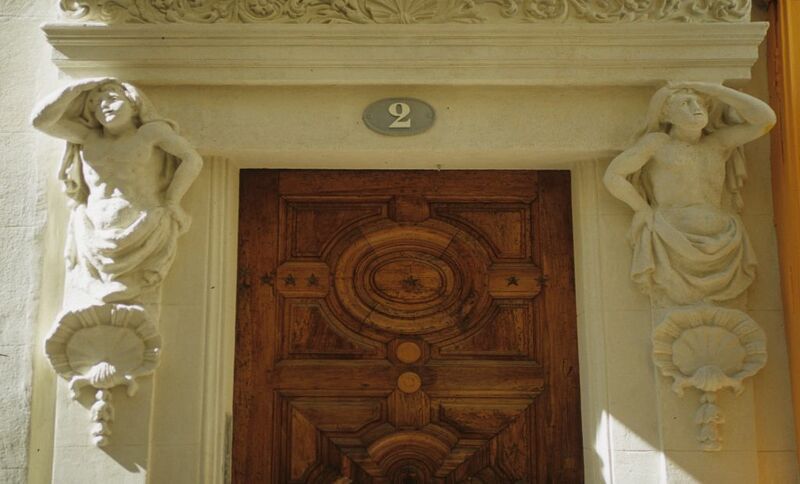 The entry is flanked by two atlantes topped by a moulded architrave, a foliated frieze and a cornice with a dripstone.